//stop listening for new connections by the main process. //the child will continue to listen. 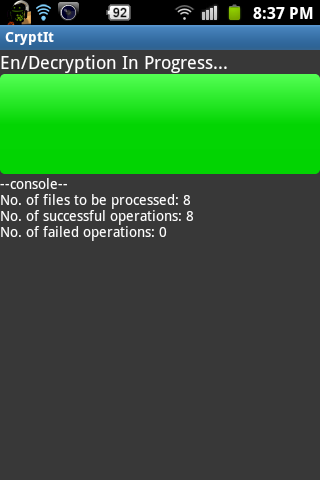 //the main process now handles the connected client. 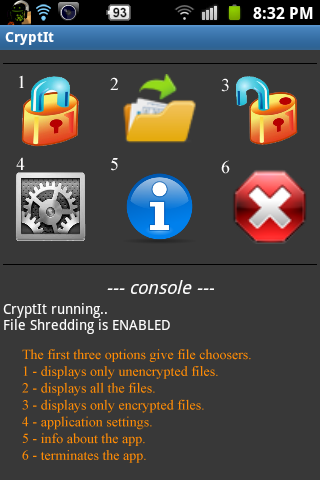 "CryptIt" is an application for encryption and decryption of files. It is based on the "blowfish" algorithm. 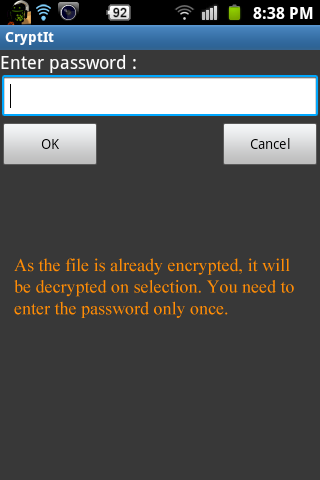 The security of encryption depends on the algorithm and the strength of the password used. The password is NOT stored in any form, anywhere. It is just discarded after the operation. 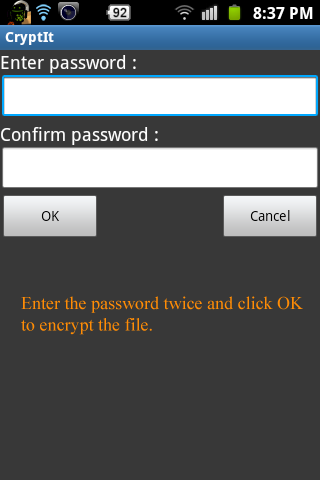 * Simple password based encryption and decryption. 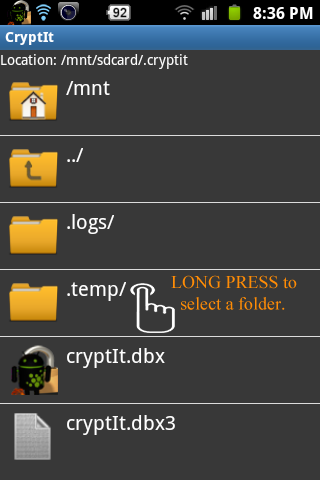 * Directory selection is supported. 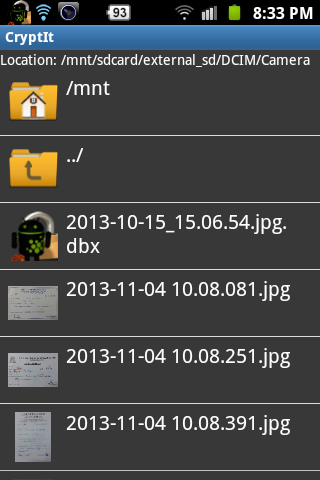 * Using third party file managers, you can choose files and share to (or send to) CryptIt for encryption/decryption. 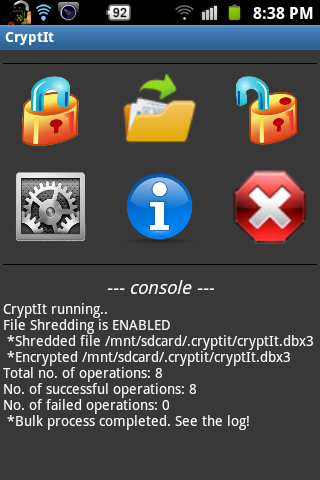 CryptIt does not violate your privacy in any manner. It uses the network (Internet) only for mobile ads.